build communities advancing social justice and equality to unleash human potential. As a mission-driven B-Corps business, Seventh Generation aims to pioneer a more mindful way of doing business. They developed a plan known as the Path to 2020 and began by examining their impacts as a business and considering the principles that matter to them as a company: responsible sourcing; using materials from plants, not petroleum; ensuring the health of our planet and the people on it; having an engaged, motivated workforce; and caring for our community. To track their progress toward these goals and present them with total transparency, they post an annual Corporate Consciousness Report, which we invite you to check out. Did you know that the law does not require ingredient disclosure on cleaning product labels? It’s time to tell the industry to come clean! 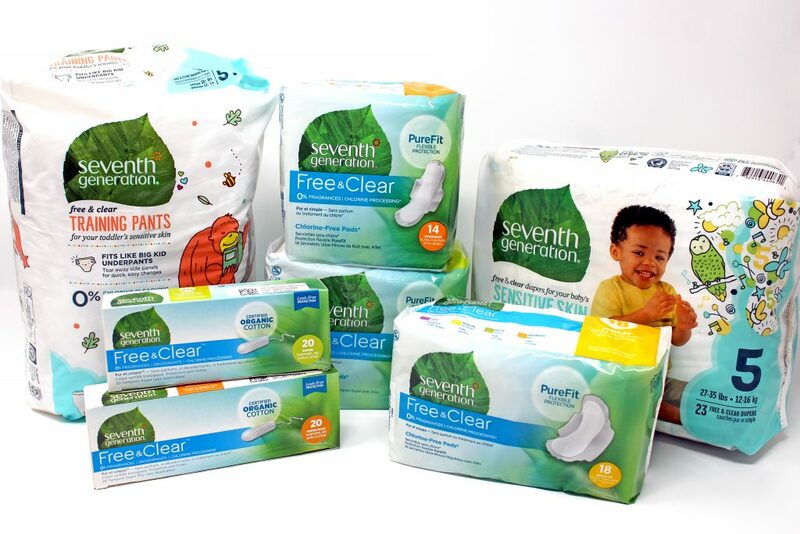 Seventh Generation firmly believes that you have the right to know what is in the products you buy, which is why they helped launch the #comeclean campaign. Through this campaign, they aim to air the cleaning industry’s dirty laundry. 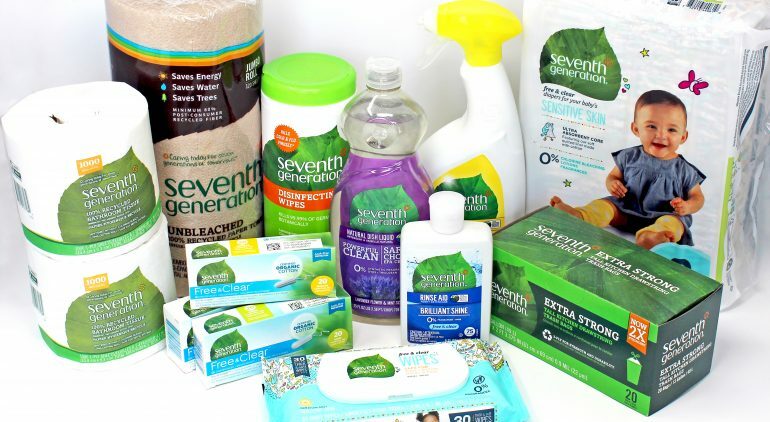 They support state and federal legislation to require manufacturers of both consumer household and industrial cleaning products to disclose all intentionally added ingredients, including fragrance components, on their product labels and on their websites. Food and personal care products are currently required to have content labels, but there are no regulations in place for the ingredient labeling of household cleaning products – especially for the fragrances that scent those products. Chemicals of concern can hide behind the term “fragrance” in ingredient lists on your cleaning products – chemicals that have been linked to serious health effects including allergies, asthma, cancer, and reproductive harm. Want to take action? Click here for the latest updates on these critical pieces of legislation and find out what you can do to get involved. At Seventh Generation, they’re #Readyfor100 not just for our planet’s health—but for human health, too. That’s why they’re shedding light on the fact that negative changes in our environment often result in negative effects on our health—especially for those least responsible: children, communities of color, and the elderly. That’s why they’ve partnered with Sierra Club, who created the #Readyfor100 Campaign as a way to grow revolutionary, grass-roots climate activism here in the U.S.
Like so many of us, Sierra Club realized that we don’t have to wait for big government intervention to stand up for our environment. Climate change may be a global challenge, but our best chance to make a difference is actually at the local level when communities and local leaders come together. Sierra Club has made it easy to take action, so you can tell your leaders that your city is ready. Many have already used their voices, and this 100-city achievement is a shining example of how powerful we can be together. A huge milestone was recently reached in this collective journey to 100% renewable energy when Cincinnati, Ohio became the 100th city to pledge a switch to 100% renewable electricity by 2035. With your help, cities across the country continue to make the pledge, from Denton, Texas to Santa Barbara, California. With every city that Commits to Clean through 100% renewable energy, we all take another important step toward reducing the negative health effects caused by climate change and the burning of fossil fuels. The solution is here and it not only is attainable—it’s a solution being embraced across the nation because of the power in our collective voice. Learn more and get involved by clicking HERE.